The key features of CASCADE are Risk Management, Decision Support, and Predictive Maintenance. Also, it aids in enterprise risk management, capital budgeting, and operational excellence initiatives. The product is fundamentally built for electrical utility asset management. Provides true equipment status in real time. Easy integration with the existing ERP/EAM systems and utility-specific software. Offers suggestions to optimize budgets. Aids in scheduling and prioritizing asset workflow. Offers real-time evaluation of online monitoring data and SCADA. Built-in interface with various diagnostics providers like Doble Test Assistant, Delta-X, Powerbase, and FLIR. 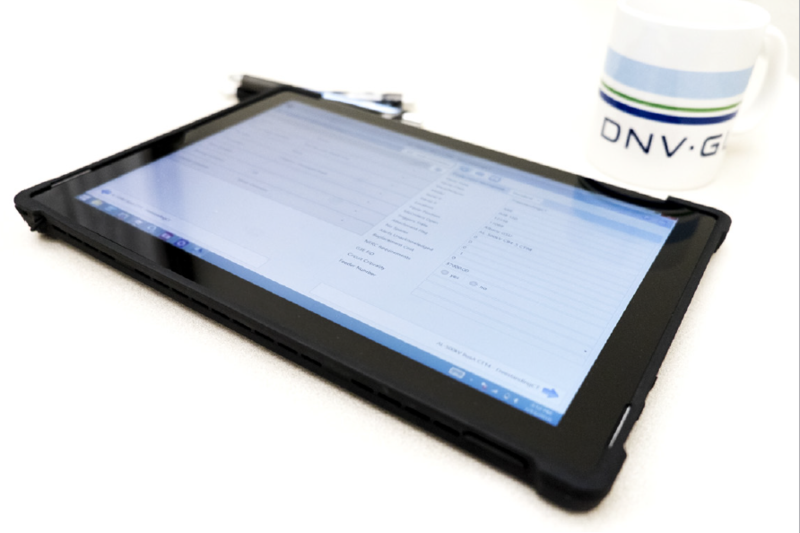 DNV offers introductory workshops on all features of the product as a part of their implementation process. Identifies, diagnoses, and acts on the critical risk factors affecting your assets and operations. Includes an in-built algorithm called Criticality, Health, and Risk Algorithm, which allows you to define your operation rules. If the defined rules are breached, you will be automatically alerted with corrective maintenance actions. Can pull data from your ERP, Financial, Control Systems, and other systems, so that you can take a holistic approach to your risk analysis. Accurately record and report on your conformance to regulatory compliance. Critical maintenance data can be easily inspected to understand compliance conformance. Customized compliance reports can be generated. It monitors every variable of your critical equipment including asset age, maintenance history, failure reports, and equipment usage. It uses data from every variable of your equipment then relate it to the condition of your equipment to get a comprehensive understanding of your equipment health. It generates work orders based on equipment condition. It predicts budgets, forecast maintenance resources and compliance/regulatory processes. The CARE module acts as a monitoring tool. It continuously monitors all aspects of your equipment to detect any variance. Alerts are sent after detecting any variance in the equipment condition. Integrates the DTA data into utility asset management operations. Access Cascade even if you are not connected to the internet. Seamless offline and online data replication. Enables process automation by generating and closing maintenance orders for relay tests. View, analyze, and organize IR images from within the CASCADE using the Thermography software. Manage and interpret the insulating oil dissolved gas and physical test data. Receive alerts and maintenance orders based on Dissolved Gas Analysis (DGA) results with CASCADE. Get helpful information to avoid system breakdowns and to extend transformer life. Inspector is a substation inspection solution software designed to run on touchscreen tablets supported by Windows 7, 8, 10 and beyond. Touchscreen interface makes using Inspector easy. It facilitates reading out and filling in the inspection forms in both online & offline modes, alter layouts, field types, calculations, and domain values. The fluidity of the mobile interface increases the speed of inspections. Since the data can be captured on the move without the need of a keyboard or the mouse, it makes the work of your field staff easier. The complex procedures have step-by-step, failsafe guidelines to avoid compromises in the data quality. CASCADE Insight is a web-based application to provide insight into the health of critical substation assets, asset maintenance, and substation maintenance programs. Equipment maintenance dashboards which are specific to the utilities, provide critical insight about your utilities. Provides an overview of the maintenance schedule and maintenance costs of the equipment. Answers critical questions on the high-risk assets and their location, maintenance work orders, overdue, inventory of the equipment and spares, cost of maintenance, total forecasted work, etc. Obtains grid analytics, high-risk notifications, identifies the anomalies in the data collection, get financial analyses and statistical reporting on the entire fleet assets with CASCADE Insight. Reduces the costs and power outages by focusing on your utility asset management based on the critical insights acquired by CASCADE Insight. CASCADE Foresight is a web-based, cloud-supported Asset health index software. It is a modeling and analytical software designed specifically to assess the health and risk of your asset fleet. Determine the remaining lifetime of the equipment like transformers, switchgear, cables, etc. with CASCADE Foresight. Get a clear picture of the equipment which might require replacement or maintenance on a yearly basis for a long term. This is useful in setting a long-term capital investment planning. Accounts for the missing data with CASCADE Forecast’s efficient data handling capability. It integrates with any data source on-premise or on the cloud to acquire the required data to build a model. User-friendly display configuration to give a clear picture of the results, analytics, statistical confidence, map locations, and replacement waves. It complies with ISO 55000. Enterprise Asset Management software (EAM). On-premise: CASCADE is available for deployment on the premise of the utility. Tablet-based: CASCADE Inspector is a tablet-based variant available for Windows OS touchscreen tablets. Web-based: CASCADE Insight is a web-based variant.